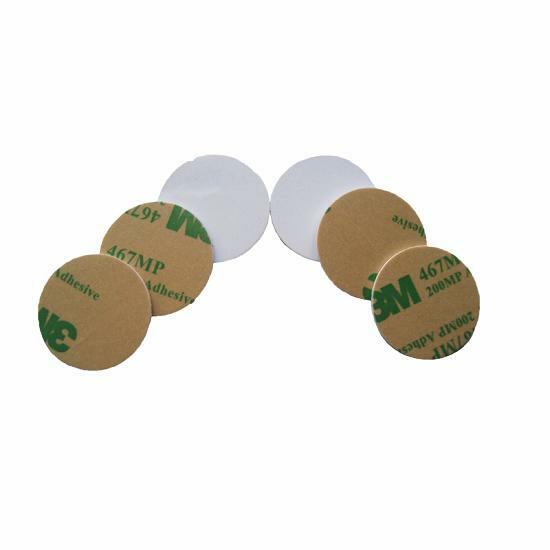 RFID NFC Coin PVC Tag is laminated with PVC or PET. RFID Disc Tag can be with adhesive back; to be applied to a non-metallic surface. Because of our Direct Bonding technology,the surface is more flat resulting in great printing performance. Silk screen and Laser printing is available upon request.As for the laminating process,RFID Disc Tag is a cheap and flexible solution with optional thickness,read range and materials. Passive RFID tag is activated by the radio frequency ( RF ) scan of the reader ,and RFID tag is programmable by RFID writer , there is no power source in the passive RFID tags .